A yet another Nigerian national, has been apprehended by the operatives of Indian Police with a 300 grammes of heroin. 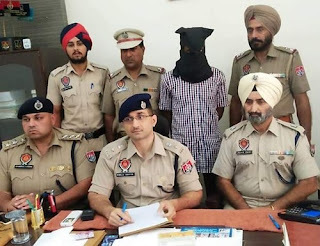 The Khanna police in India arrested a Nigerian national and seized 300 gm of heroin Monday, October 8. The accused was identified as Obizi Chiko Mej, who was currently living in Phase-3, Om Vihar, Uttam Nagar, Delhi. He was arrested from Neelon Canal bridge in Samrala area after he stepped down from a bus. Khanna Senior Superintendent of Police (SSP) Dhruv Dahiya said a police team led by Samrala SHO Manjit Singh laid a naka near Neelon Canal Bridge, Samrala. The SSP said the accused alighted from a bus and was going towards Neelon Khurd village. On suspicion, the police stopped Obizi, who was on food, for checking and recovered 300-gm heroin from his possession. A case under Sections 21, 61 and 85 of the NDPS Act has been registered against the accused. 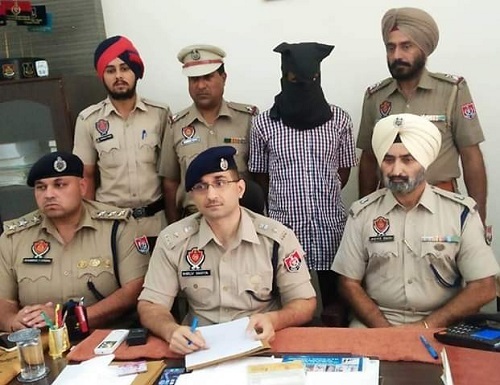 According to the SSP, the accused had brought the consignment from Delhi side was going towards Ludhiana, but was arrested by the Samrala police. The accused was presented in a court for further action Tuesday, October 9. The SSP said the Khanna police had arrested 12 international smugglers in the past six months and recovered 4.8-kg heroin, 47-gm cocaine, 18-gm ICE-Drug and 15-gm psychotropic powder from their possession.